You don’t need Miracle Grow to stimulate growth this Spring. You just need to attend the next Inn Group Meeting on Thursday, March 27th. Together, we’ll take a look at our Linked In activity and see how we can improve it to flourish in the months ahead. If you aren’t currently using Linked In, maybe you’ll decide to start after our discussions. 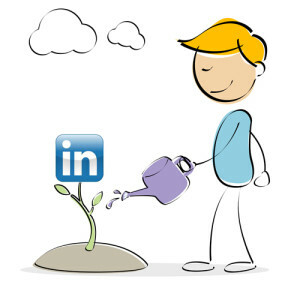 At our last meeting many of you shared that you find the most qualified leads and connections through Linked In. Let’s build on this success. I just read an article today that said that 80% of the social media leads generated for BtoB comes from Linked In.In addition, Sheryl has been answering the increased need for those wishing to get started with Linked in through her Linked In trainings for business owners and job seekers. There is no doubt that there is much interest in connecting, reaching out, and building mutually beneficial relationships with this powerful platform. 1) Business Builder Brainstorm—Check out Linked In and bring an example of a headline that you really like or don’t like. We’ll discuss these and brainstorm headlines that are interesting and attention grabbing for each other. 2) Creating a “Killer” LinkedIn Profile that Gets Attention (for the right reasons! )– Victoria Rotante will be sharing the top 5 resume musts and the top 5 Linked In Don’ts for you to consider as you tune up your Linked In profile for spring. It’s time to Register for the next Inn Group Meeting: Thursday, March 27th from 10:30 to noon at the Franklin Inn Mexican Restaurant. Join us for great discussion and delicious food as we share ideas that will support our goals and strengthen our businesses. Click here to register!